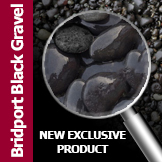 Top quality, kiln dried sands to prevent slipping and sliding on pedestrian walkways, and vehicular access ramps. Also within the working environment as an anti-slip for mechanical processes and workplace surfaces. Our high quality silica sands fulfil specification as traction sands for rail and tramways.